We recently received a tip from a reader who told us that Ashley Furniture, manufacturer and retailer of home furnishings, denied her request for a price match, even though the item met all of the requirements outlined in the company’s price-match policy, of which there are many. She said she saw ads for the policy online and in store. [Unfortunately], the items that is listed on amazon is Sold by Amazing buys 1. Since this is a third party retailer we are unable to price match this item. We can only price match items that are sold by Amazon [directly]. 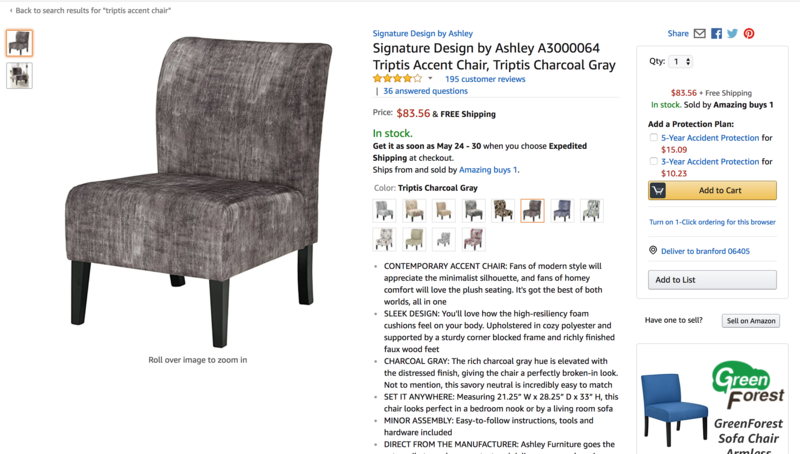 To put it a different way, Ashley won’t match prices on Amazon, they will only match prices from Amazon, like this one that Ashley said it would honor. Among other terms that you can read all about here. Find more of our coverage on pricing issues here.